New Product! Our new Magnetic Chess Demonstration Board makes teaching easy and quick. 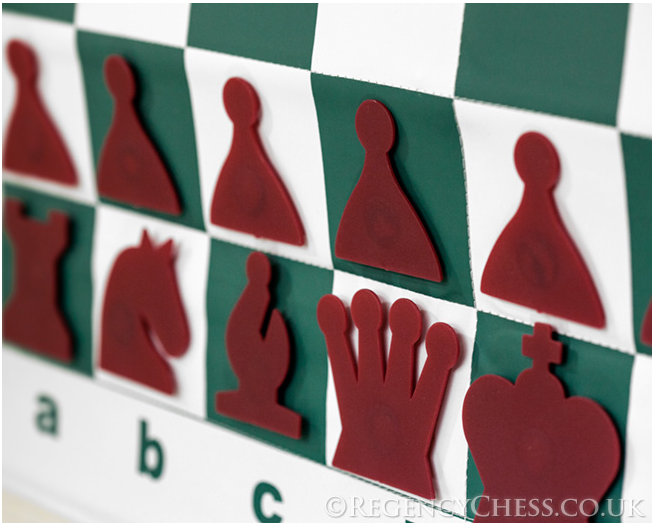 Strong magnets are attached to the back of each chess piece to facilitate simple and easy movement of the pieces. 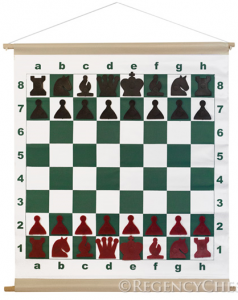 At 25 inches square it is the perfect size for teaching chess in schools. It comes with a rope hanger and it rolls up into a convenient carry bag with a handle/shoulder strap. Also great for reviewing games at kids chess tournaments!